This Gatlinburg honeymoon cabin's location in Sky Harbor Resort places guests between Gatlinburg and Pigeon Forge and all their attractions. 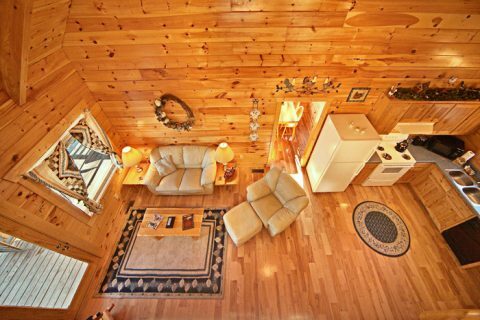 Enjoy this cozy honeymoon cabin with all its comforts and amenities. There's plenty of romance to be had at "Happily Ever After." 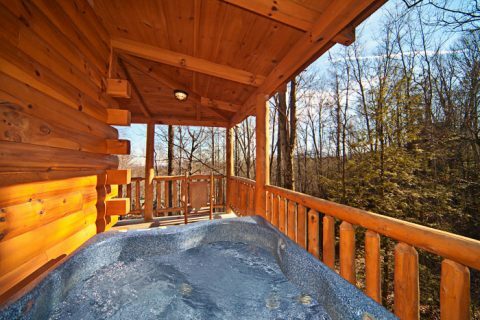 Your honeymoon cabin in the Smoky Mountains provides vacationers with everything they need to enjoy each other's company in the Smoky Mountains. 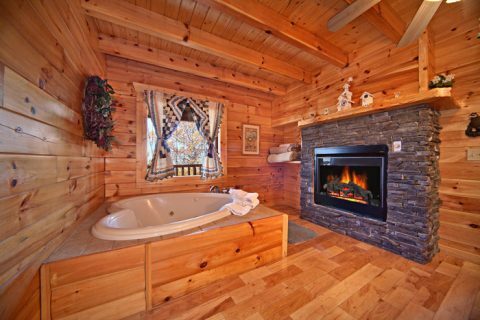 The spacious bedroom offers a 2-person, heart-shaped jacuzzi tub that rests in front of a romantic gas fireplace and expansive king-size log bed. 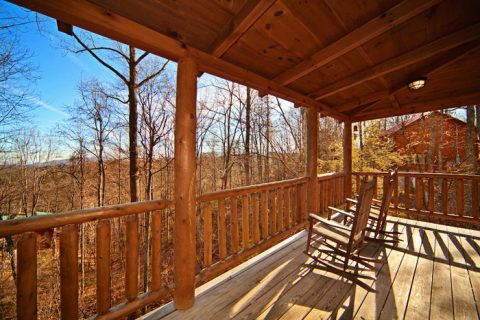 Outdoors, the cabin’s deck offers honeymooners a relaxing hot tub, a porch swing, and several rockers for taking in the sounds and beauty of the Smoky Mountains that surround your cabin rental getaway. "Happily Ever After’s" resort location allows easy access to nearby Gatlinburg and Pigeon Forge attractions where there’s plenty to see and do. 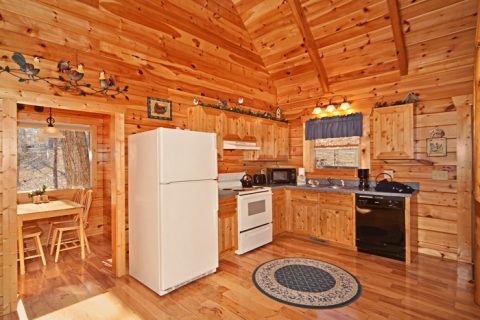 After a full day’s adventure, return to your Gatlinburg honeymoon cabin for a romantic dinner for two prepared in your cabin’s fully equipped kitchen or on the deck’s charcoal grill. 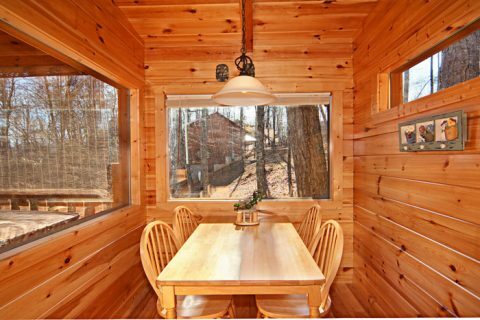 Enjoy your delicious meal in the dining nook with large windows. As the evening winds down, watch a movie on the living room's comfortable sofa in front of the warm, romantic glow of the fireplace. 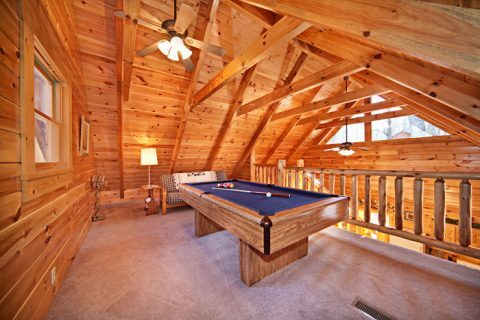 Upstairs in the loft, enjoy a few rounds of pool or games of darts. Or just share some photos of your trip on social media with your cabin's WiFi Internet access. 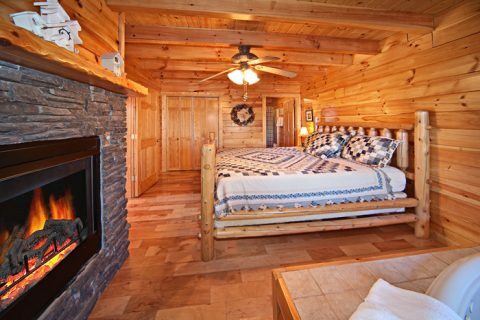 There's so much that this honeymoon cabin in the Smoky Mountains offers that you'll never want to leave. 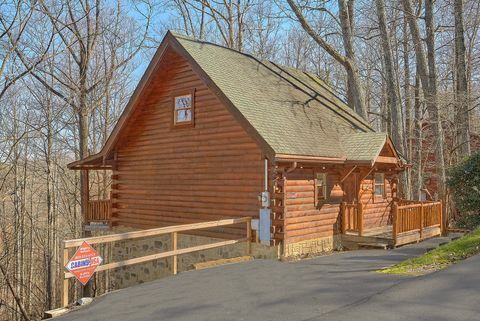 Enjoy the pleasure of staying in a cozy honeymoon cabin rental. 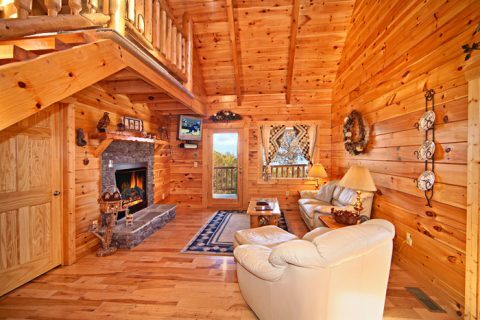 Gatlinburg waits for you and someone special when you book online with Cabins USA Gatlinburg and immediate savings and beautiful Smoky Mountain memories!